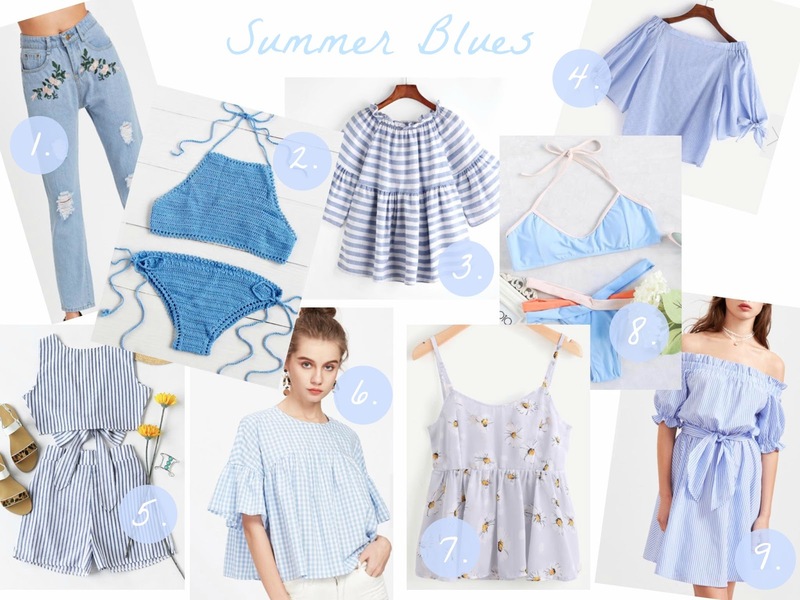 I will always be a pink gal at heart, but recently I have really been drawn to the color blue and I can't seem to get enough of it, especially for summertime. I feel like blue and white is such a classic combo for summer and just looks so fresh and effortless! Today I wanted to share a few of my favorite blue items from Romwe that are all easy on the budget and will be sure to get your closet summer-ready! Happy shopping!